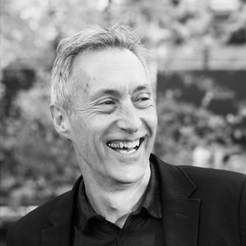 With over 30 years experience organizations in North America, Europe, Asia, South America and Africa, Richard inspires mindfulness and interconnectivity in his work. He takes a holistic approach when working with clients. He specializes in teaching and practicing mindfulness – beginning with the individual, then expanding this to an organizational level. His unique approach assists organizations in the design and implementation of human systems integration and processes. Consequently, individuals and teams are able to achieve their highest potential, enhance their creativity and increase their productivity and fulfillment. Richard’s clients include AT&T, BP, Capital One, Cargill, CH2M Hill, Children’s Hospital, Cisco, City of Hope, ClimateWorks, Coca-Cola, Cytec, General Electric, Lloyds Banking Group, McDonald’s, Metrohm USA, Microsoft, Northern Telecom, Nike, Port of Portland, Revlon, Shell Oil, Sony, Telstra, The Nature Conservancy, US Airways, and Westin Hotels. He is also the co-author of The Vitality Imperative: how connected leaders and their teams achieve more with less time, money and stress. Richard believes one of the biggest challenges companies face is their struggle to solve complex problems. He works to emphasize collaboration as an essential tool in organizational progress and success. He helps leaders learn to include their whole self (emotion, intellect, and physicality) in their work. By doing so, they have the capacity to produce more sustainable and fulfilling results. As a lover of nature and family, when Richard is not working you will find him surfing, doing yoga, and spending time connecting with loved ones.